Today I used my large ornament die again. I cut the ornaments and shapes out in grunge board. The wreath is a Tim Holtz die and the holly berries are Sizzix. I covered those images with Tim Holtz Distress glitters in Festive Berries and Mowed Lawn. I color the ornaments with metallic Distress stains. 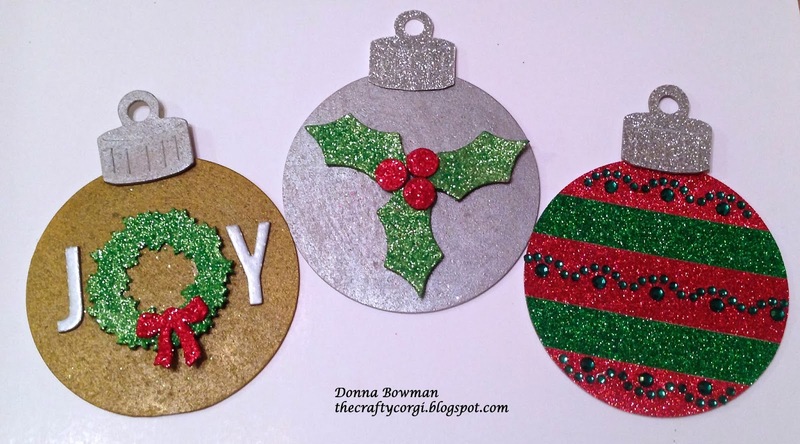 I cut the tops of the two ornaments on the right in silver glitter paper. I also used two silver letter stickers on the Joy card. 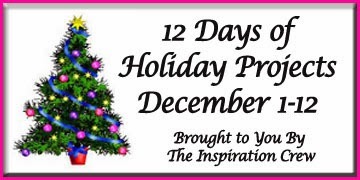 Imagine how many letters you could use if you made several ornaments with just words on them!! The ornament on the right is covered in American Crafts glitter tape and on the red sections I added Green Bling on a Roll (which is by Recollections and you can buy at Michaels) to add some interest and shine. These are perfect for cards and decorating bags and presents. These are so pretty! Love that sparkle! Very cute! Love the sparkle! Very festive--I like the use of the distress glitters. I love the look of the sparkly ornaments! I will have to check out glitter tape. It sounds as though it might be worlds easier than glue. Wow! I really love the vibrant colors!!! These are awesome! I LOVE the JOY ornament with the wreath for the letter "O"! Your ornaments are cute - love the sparkle. oh my these are totally perfect.. loving all the glitter.. Cute, cute, cute! I love their glittery goodness! these turned out so so pretty!! i really love the JOY one, that wreath is amazing.